Which Smart Doorbell is Best? Wondering which is the best cable modem for your connection? This is a quick and easy guide that will lead you to the correct decision. It’s actually fairly easy if you know how fast your connection is currently, or what speed you intend to upgrade to. Modems are straightforward. First, pretty much every Cable ISP uses Arris equipment to deliver service to your location on their end. 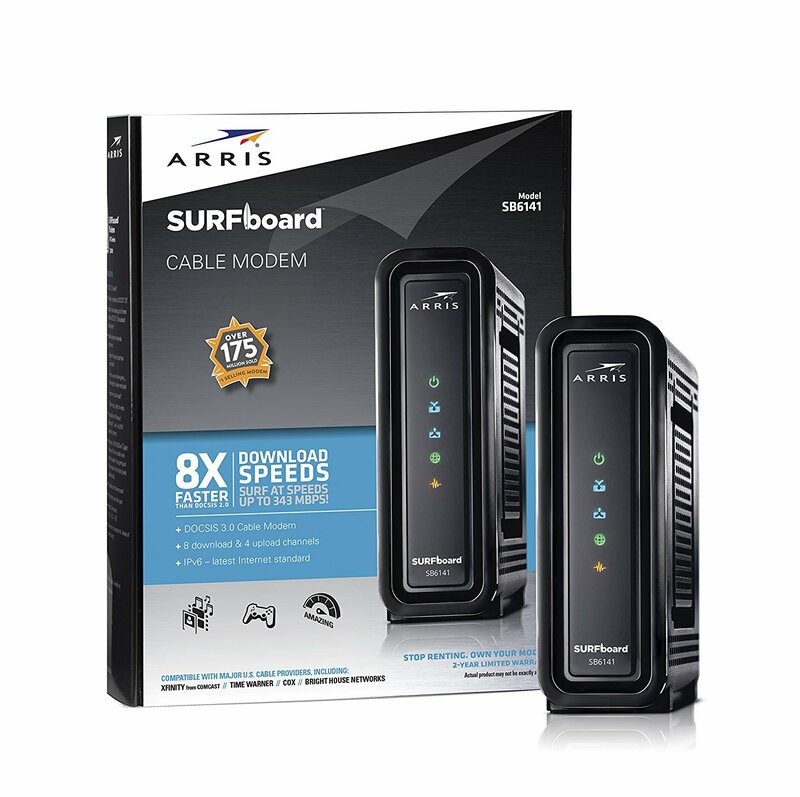 For this reason alone most people, myself included, recommend using an Arris Modem. It leaves less room for…quirkiness. Cisco and Netgear make DOCSIS (the protocol for internet over cable) modems now, but Arris is far more common and supported by every cable ISP I know of. This is the first key to getting the best cable modem for your connection. Really the only decision to make is which of the contemporary Arris models is suitable for your needs. To be clear: There is no difference in performance at a given speed. Your choice is about capacity to handle your internet subscription speed. The units with more channels have more lanes on the highway, so to speak, to handle more traffic at a time. If you have a 100 mbps connection delivered over DOCSIS 3.0, all three of these modems will perform exactly the same. It’s only when your data rate increases past their capacity does it matter. Not included in the list are the SB6121, which is considered outdated, and the SB6190 model, made with Intel Puma chips, which are defective. There is a class action lawsuit over the device. Avoid the SB6190 for this reason. This leaves the SB6141, SB6183, and SB8200, all alike in dignity, except for the number of channels each can bond, and therefore speeds each can handle. Plus the SB8200 is DOCSIS 3.1 ready, while the other two are only DOCSIS 3.0, which while not so important now, might be in the future when networks start supporting. The SB6141 is the no-frills option that currently suits most people, since the number of people with connections faster than 300 mbps are few and far between. The 6141 is specced for up to 343 mbps on its bonded channels. The SB6183 is exactly double that at 686 mbps, and the SB8200 is rated for 1.4 gbps. For example, My 600/40 mbps connection is literally too fast for the SB6141, and right at the theoretical limit of the SB6183. I opted to buy a SB8200 when I upgraded the speed package, for future proofing more so than the extra bandwidth headroom. So buy the unit that best matches your needs speed wise, according to your ISP subscription speed or the SB8200 if you want future-proofing. That’s all there is to it. What Kind of PoE Switch Do You Need For a Home Network? 4 Home Automation Projects for Aging in Place Homes. Build Home Networks is passionate about people making good decisions regarding their home network. We focus on education and how-tos, so anyone can build their own home network.